You are here: Home Forum Home Other Outboards? 49 Champion - Water leak? 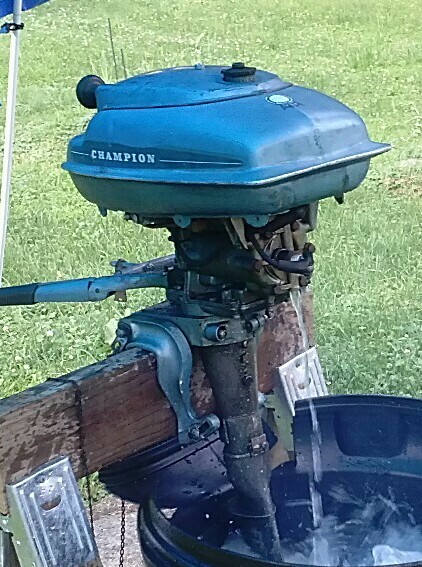 49 Champion - Water leak? TOPIC:	49 Champion - Water leak? We started our 49 Champion 4K for the first time today. It started and ran well, but there is cooling water coming out where I don't believe it should be. Looking at the parts manual (thanks, Gil), I believe the problem may be a missing expansion plug. Am I on the right track? If so where might I find a replacement. McMaster-Carr has metal freeze plugs down to 1/8". Would that be an acceptable option?